Important: Calculator requires Java™, Internet connection and paid subscription to work. If don't want to install Java™ and you use Windows™ 64bit, please try to download the calculator from here. 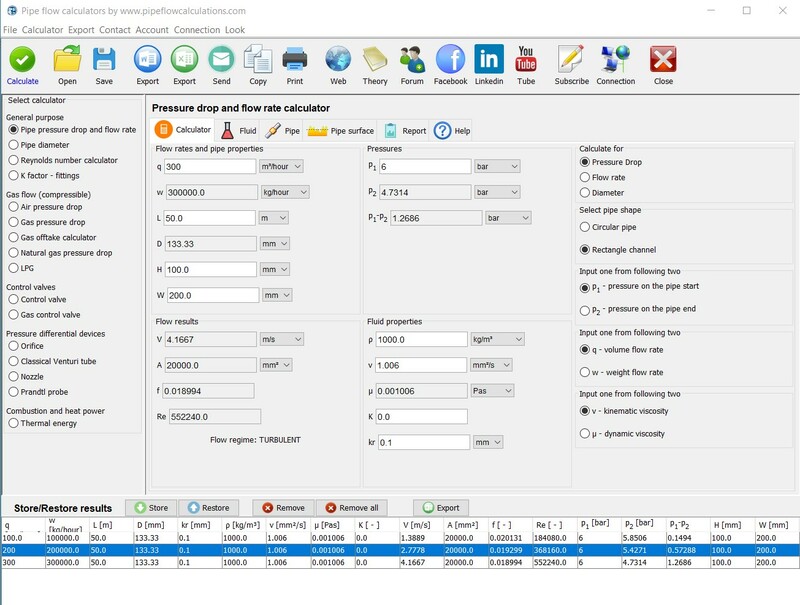 Pipe flow calculator requires Java™ Runtime Environment – JRE version 1.8.x, suitable for your operating system. Calculator is independent of operating system. It can work on Windows, MacOS and Linux desktop or laptop computers. Get the latest Java™ Runtime Environment for your desktop/laptop from here. Read more about web start technology. If you have concerns about Java™security please read the following text. It is very important to confirm that Java™ will run on your system. If for any reason you can't use Java™ on your computer, and if you are using Windows™ 64 bit operating system, than you can still use the calculator. You can download the calculator that has all required components in one package. Just click the start button above and launch image on the opened window, and wait for Java™ to initiate, as it can take a while. After that confirm on the opened window that you accept to run the pipe flow calculator and wait for the calculator to load. Register your account on registration page. Select a user name, password and enter valid email. You will instantly receive registration confirmation email to confirm your registration and activate account. Click on the link provided in the activation email to activate account. You will once more receive an instant email confirming that your account is activated. This time no action is required from you. Subscribe to full service at subscription page. Select one out of three available subscription plans. Each plan is time limited and gives you access to all services on this web site. After you have completed all 4 steps from the above, you will be able to start the calculator in several other ways also, as described in details on the instructions and requirements page, in the section: "How you can start application on your desktop/laptop? ".